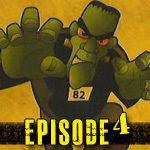 VNA Monster Mash Obstacle Race Review | Getting Dirty with Laurie and Daniel - A Podcast about Obstacle Racing, Training, and Mud Runs. Way before the sun came up Saturday morning we were packing up the car again and prepping for our next race. 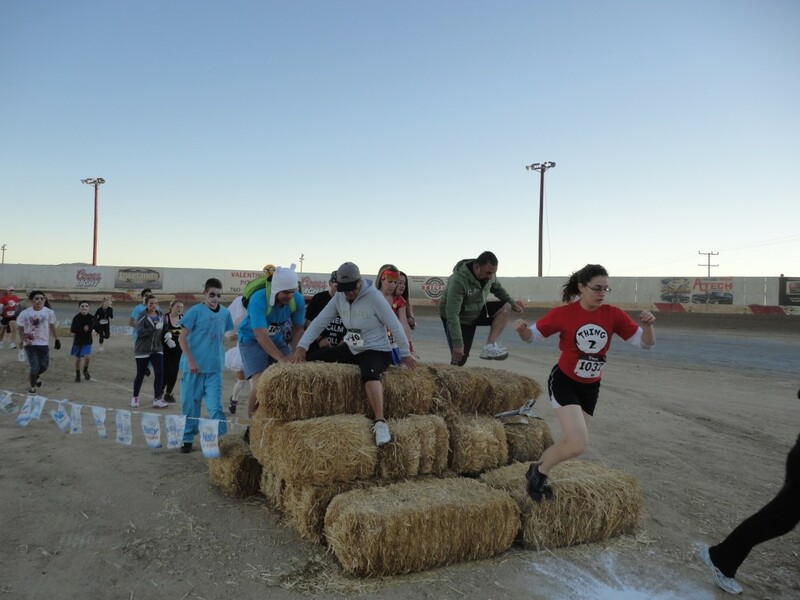 This time we were heading 2 hours east to Victorville, CA for the 1st annual Monster Mash Obstacle Race. 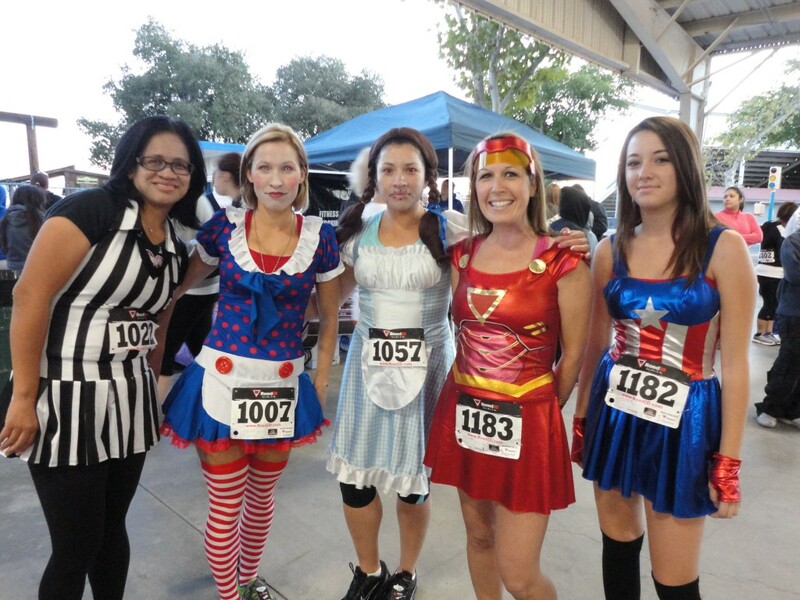 This was to be a 5K Halloween themed obstacle race to benefit the VNA of California. Knowing this was a small local race, and their first event of this kind, we weren’t expecting too much in way of grand obstacles and production value. 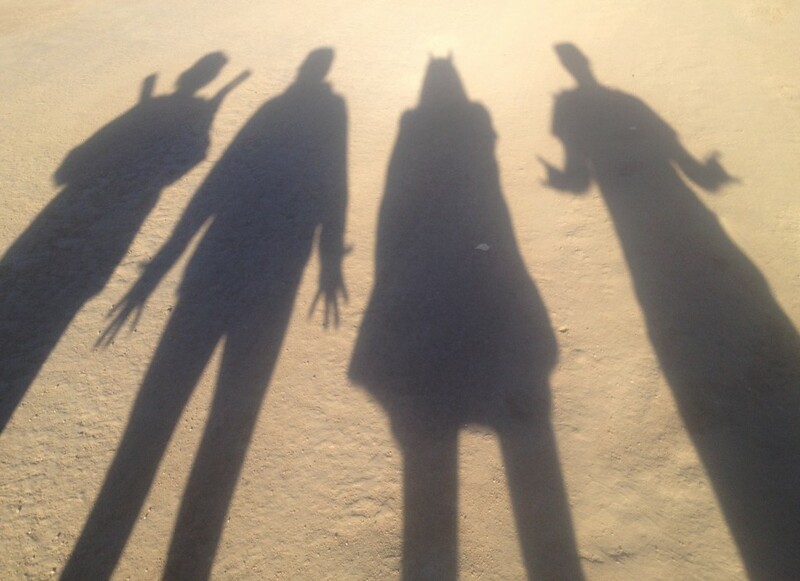 There was only going to be one wave which was to start at 7:00 a.m. We arrived at Victorville Fairgrounds in darkness. It was a little hard to figure out where to park, as the fairgrounds had multiple events going on. 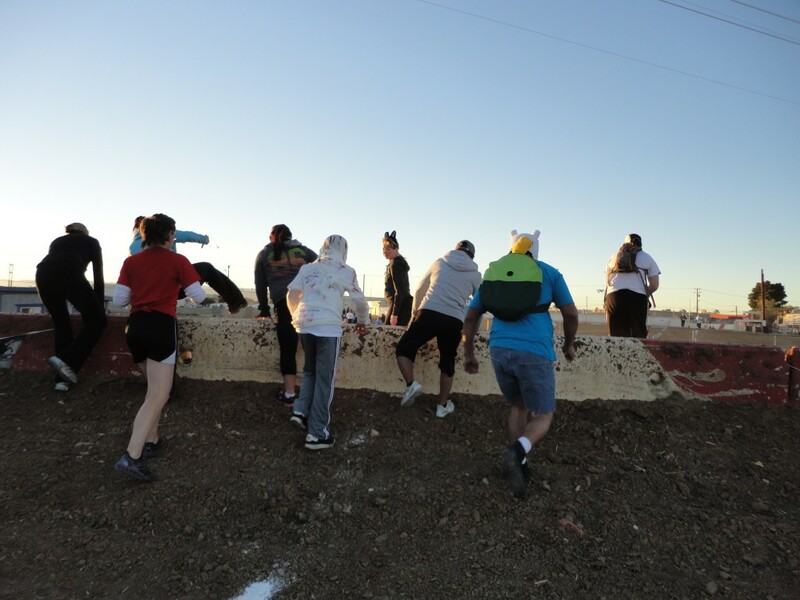 We almost got in line for the swap meet, but soon realized that the trucks filled with furniture were not there for the obstacle race! Once we found the right entrance, parking was easy. It was a short walk to the registration area. There were plenty of volunteers in the registration area. It was very well organized and we got our bibs and timing chips quickly. Excited runners signing their waivers. There was a short little Zumba warm up before the race began. There was a great mash up of Ghostbusters and Gangnam Style that was worth the price of admission! It really got everyone in a great mood and ready to get the race started. There were lots of people donning costumes that ranged from simple to elaborate. Superheroes and the undead seemed to be popular costumes of choice for most of the runners. Elizabeth Shaw Prometheus look alike keeping warm next to a devil and camo-zombie. There was only one wave for the race, so we all packed into the starting corral waiting to start the race. My biggest fear with only one wave, was a bottleneck at the obstacles. I scoped out the group and decided that I wanted to be near the front so I wouldn’t have to dodge the walkers as I was running the course. When we got the signal to start, I started out with a quick pace to get ahead of the group. The first obstacle was concrete dividers unto a motocross track. While on the track there were little bunny hills we got to run over. I imagine those would be pretty fun to go over if I was on a motorcycle. The course itself was flat, so it was a great race for a beginner. We had two people in our group that had never done an obstacle race before, and they felt the course was challenging, but not too difficult. 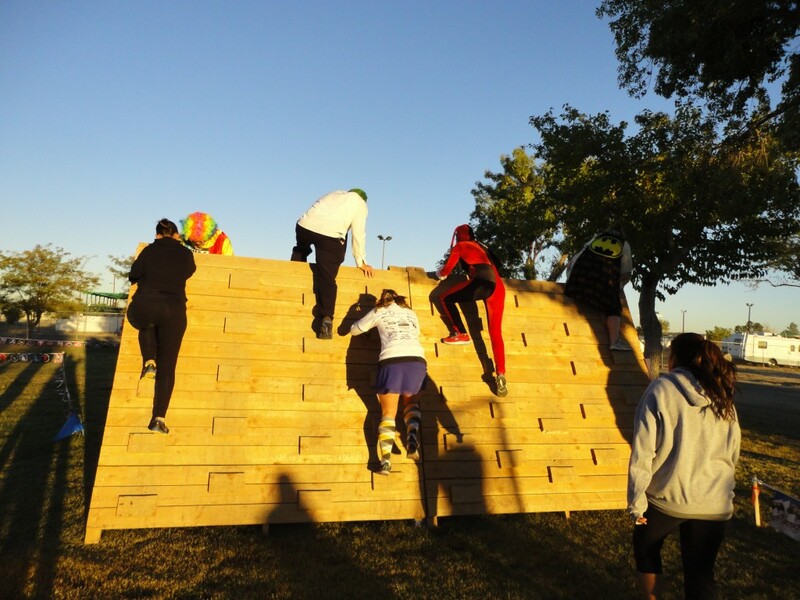 The Monster Mash Obstacle Race had some standard obstacles like the wall climbs, tunnels, and crawl throughs. They really took advantage of their location and made obstacles out of the grandstand, animal pens, picnic benches and motocross track. It was a lot of fun running over the picnic benches. We felt like little kids breaking the rules! Several concrete barriers had to be hurdled along the course. Hey -There’s the hay! Several hay obstacles could be found on the course. 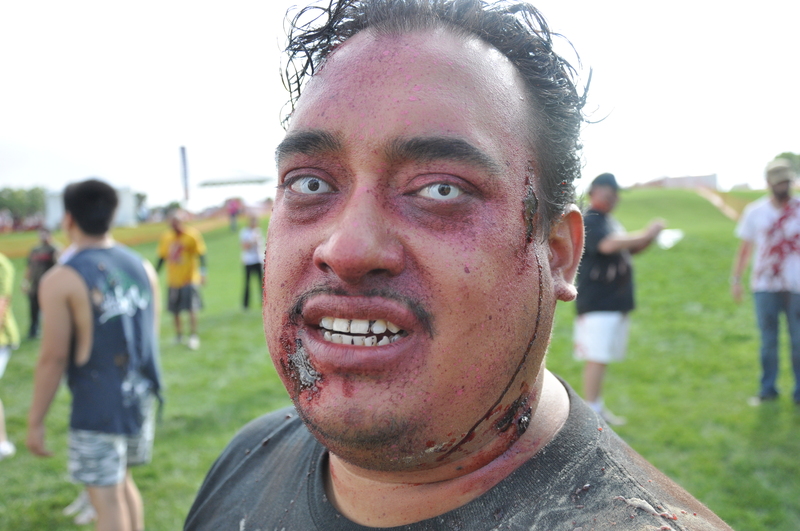 Throughout the course they had zombies and monsters sprinkled around the jumped out to give us a scare. The volunteer monsters were really getting into the act and having a lot of fun. There were even two monsters wielding chainsaws. Those two really got the group running faster! 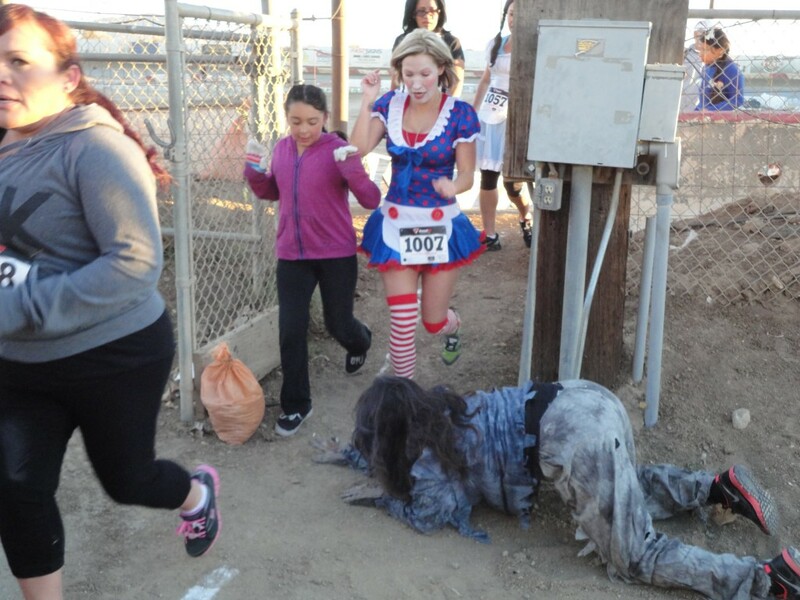 Zombies go after unsuspecting runners. One of the chainsaw wielding monsters ready to pounce. Overall it was a very fun event. It was not competitive at all. Everyone was out just to have a good time. 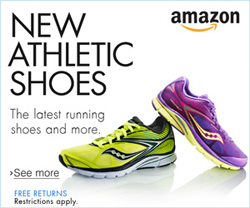 I do question if it really was a 5K course. 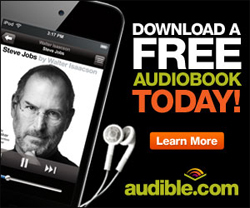 I didn’t think to bring my GPS with me, but I am guessing it was more like 2 ¼ miles. 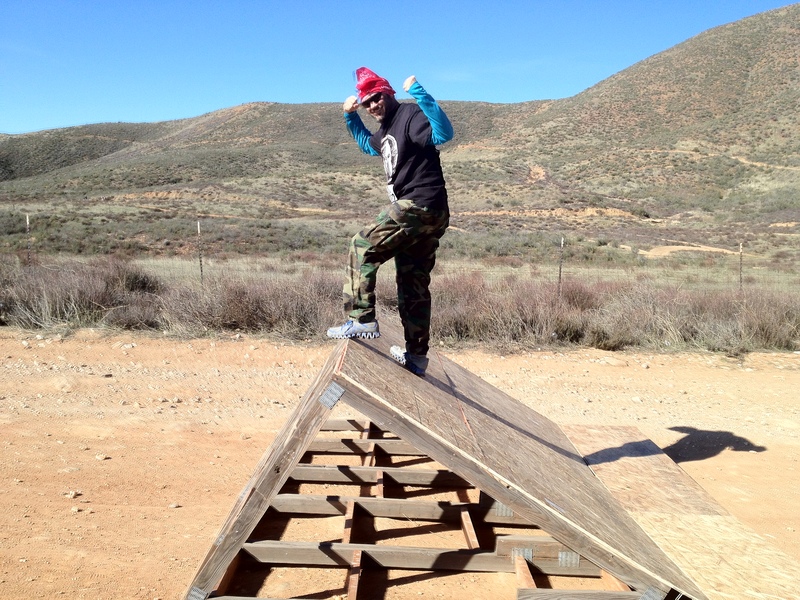 It was still a great little course with a lot of fun obstacles. Runners had to make their way over several makeshift fences. Who doesn’t love scaling a wall?? 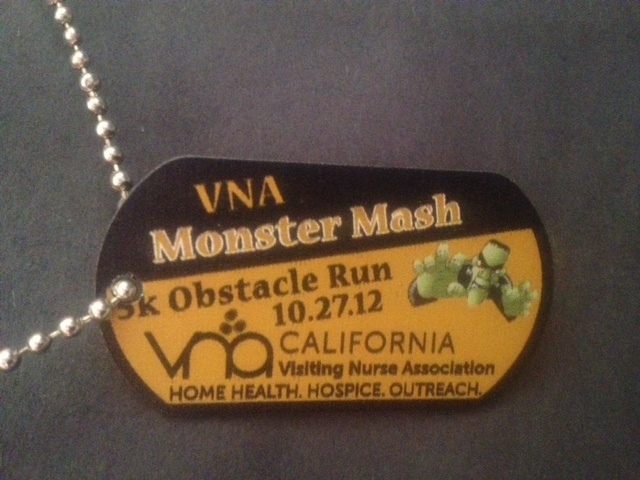 At the end of the race everyone got a dog tag to commemorate the event. There was no after party, as they had to clear the area to make way for the next event of the day. 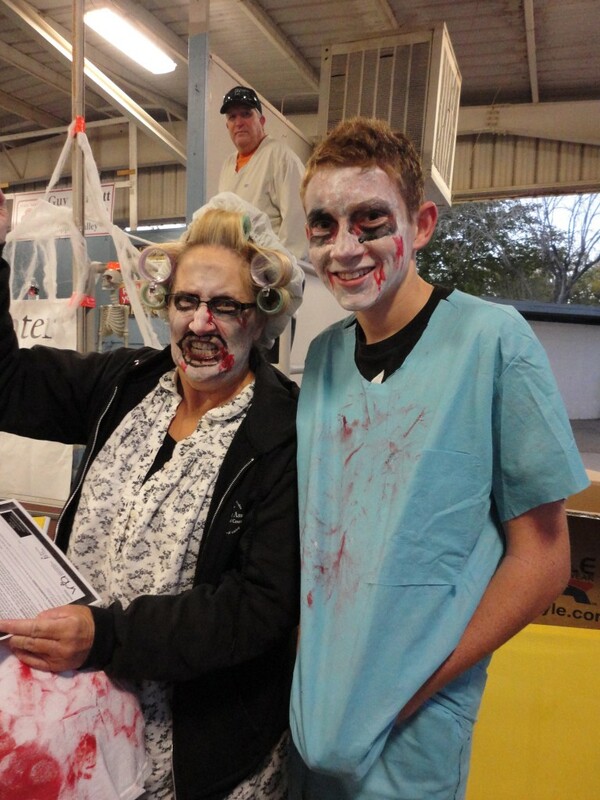 It may not have been a pretty site if the zombies were still running around as the gun show was getting underway! We came. We ran. We conquered! 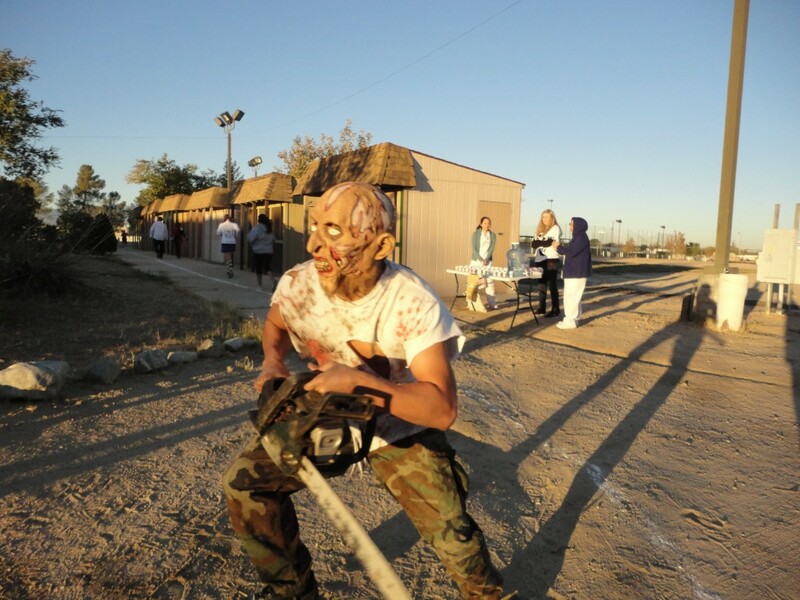 Everyone really enjoyed the VNA Monster Mash Obstacle Race. We will definitely be back if they put on another run next year!